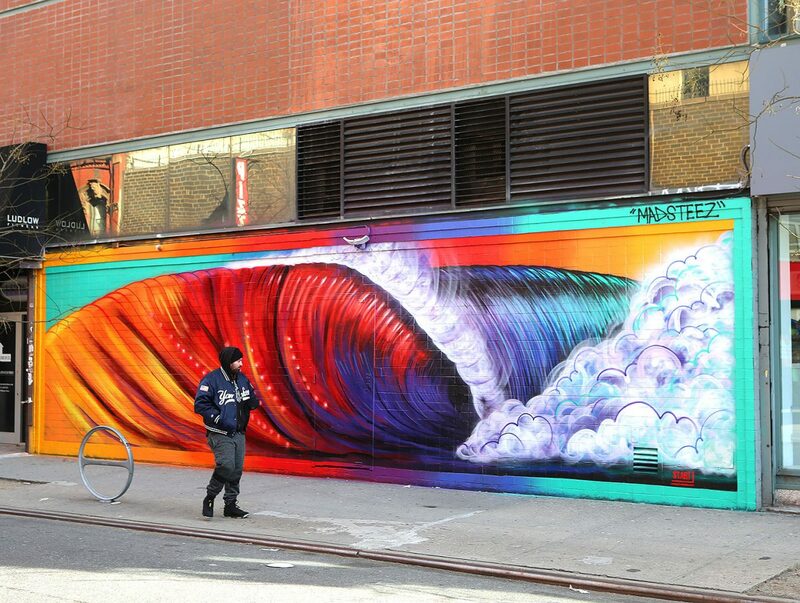 American artist Madsteez just finished his new work „WEENwave“, located on Delancey and Ludlow street in New York City . 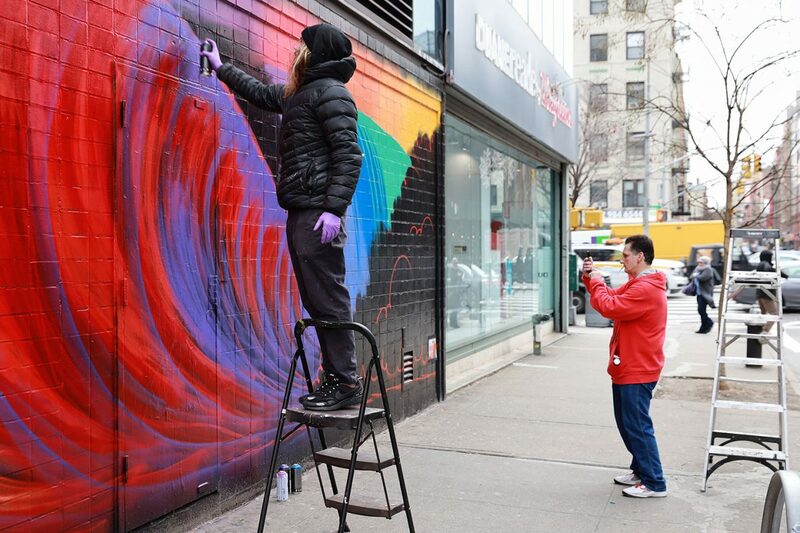 While the city is shrouded in winterly cold, Mark Paul Deren a.k.a. 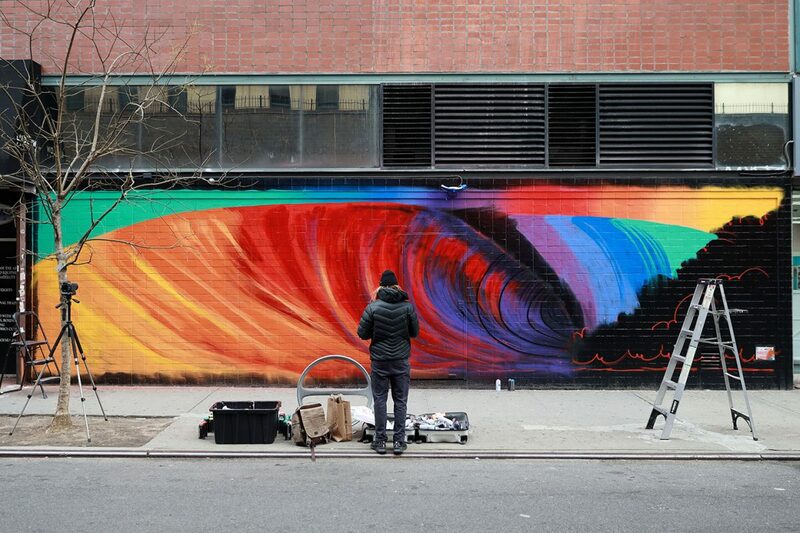 Madsteez brightens up the streets with his colorful and shining work „WEENwave“. Since he loves surfing himself it was only natural for him to spray-paint a big wave in his hometown. 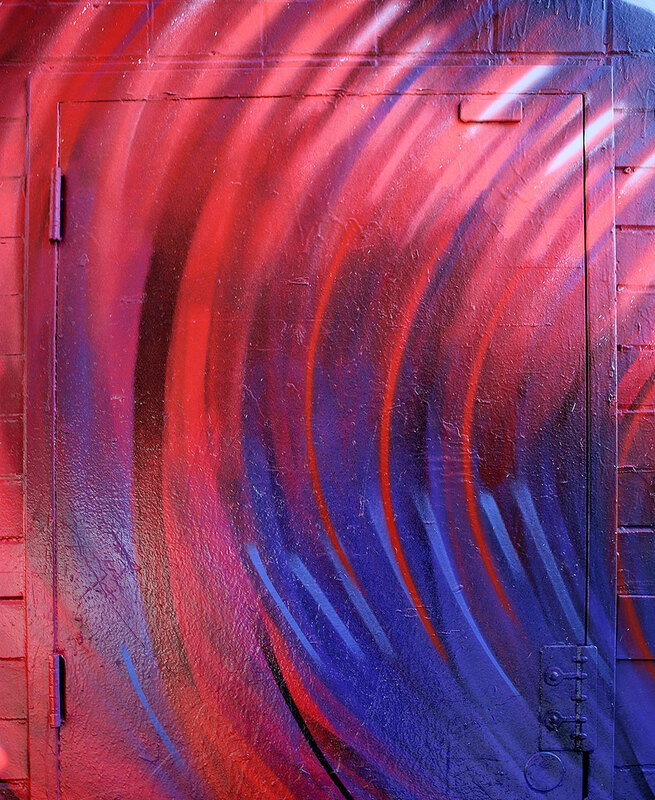 Veröffentlicht in Graffiti, Murals, Projects, street art, urban artGetaggt mit Madsteez, new york, WaveBookmark the permalink.